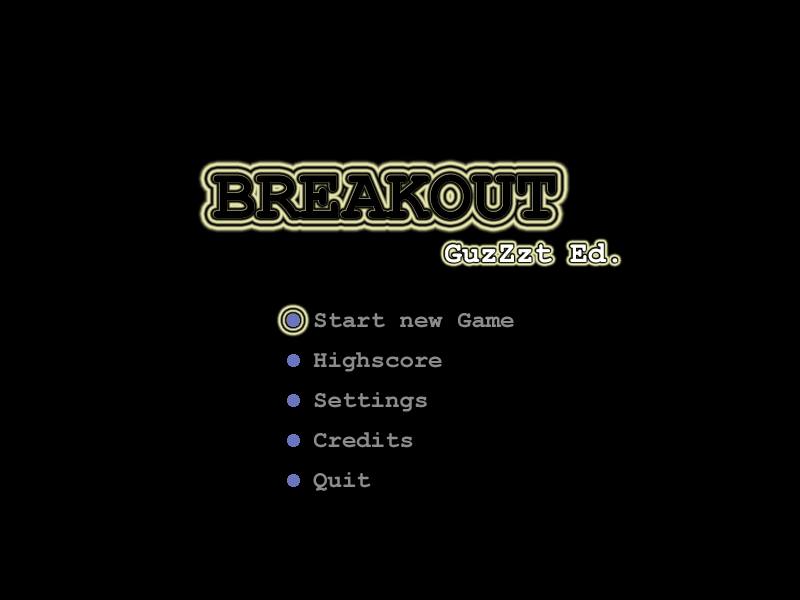 This is my version of Breakout. It is developed in C# and uses DirectX 9. So you need to download both the .NET 1.1 framework and DirectX 9 before you can start the game. The best is to download them from microsoft.com. 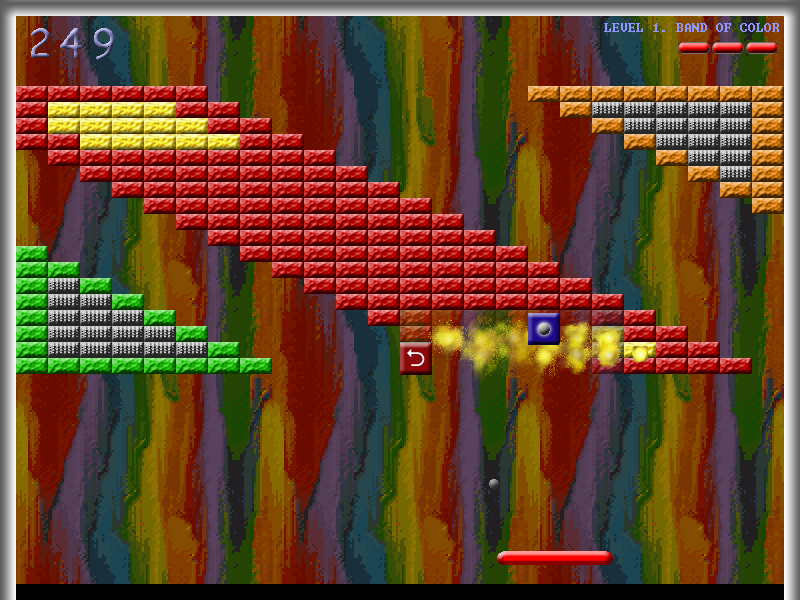 The game has 30 levels. 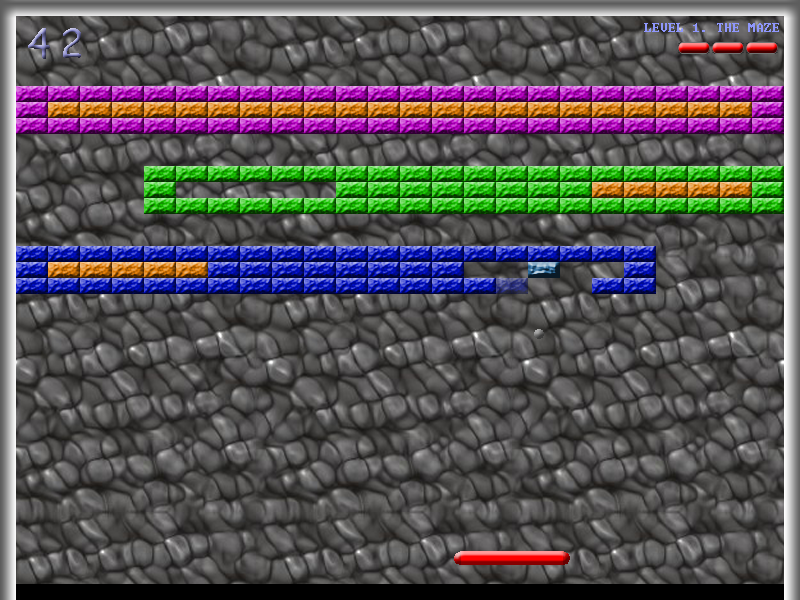 If you want to help to make more levels can you download the level editor here. Notice that you can not play your own levels but if you send them to me can I include them in future versions of the game. Only good levels will be included in future version of the game. 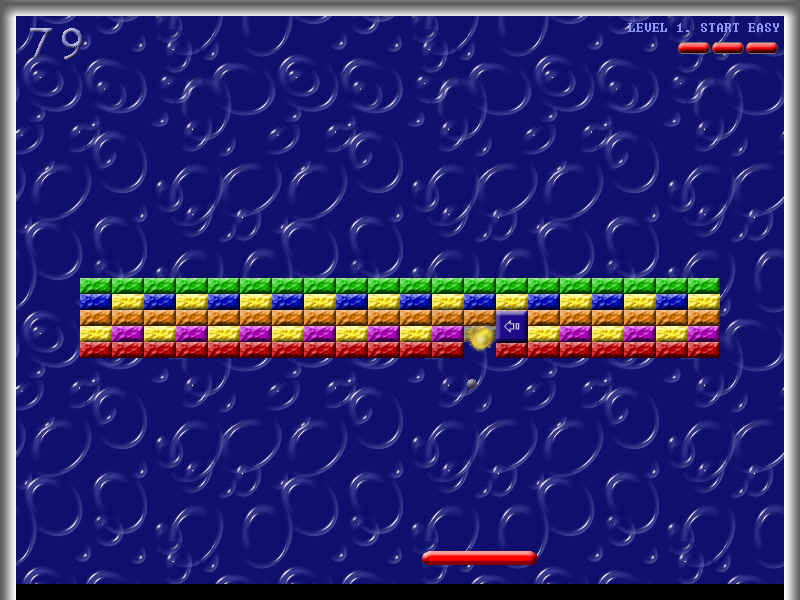 The game has powerups such as explosive ball, larger/smaller paddle, faster/slower ball and many more. Click here to view the online highscore hosted by brahegatan.d2g.com. NOTICE! The online list may be reset in future version of the game if the way the score is counted is changed and/or other major updates that change the difficulty of the game. You must change the options for the highscore if you want to upload the result to the Internet highscore list. The highscore was reset 28 sep 2003. To see previous highscore go to this page. You use the arrow keys and enter in the menus. You use the mouse to control the paddle in the game. The mouse 1 button is used to release the ball and to control the guns. You can use P to pause the game and S to self destruct if the ball is stuck in a loop (You will lose one life for this). Some screenshots from the game (Click on it to see a larger version).